All Around Moving & Storage is proud to provide the best in commercial and residential moving services, and we work hard to get our customers where they need to be quickly. In some cases, however, you may find that you need to store some of your items before, during, or after a move. For these times, you can rely on All Around Moving & Storage for convenient storage options. We provide our customers with storage solutions that make the process of storing your belongings easy and affordable. Once you’ve worked with our storage services team to create a plan, we’ll bring a storage unit to your home or business, help you pack it, and then we’ll transport it to one of our secure storage facilities. Each facility uses the latest in advanced safety technology, and we also offer climate-controlled moving storage services. When you’re ready for your items, we’ll bring your storage container to your new location, help you unpack, and even organize. Our moving storage services are designed to make your move and your life simpler. We’ve learned that many of our customers find themselves overwhelmed at the thought of moving all of their belongings at once because doing so means dealing with unpacking at a new location. When you rely on our storage services, you choose when and where your items arrive, allowing you the time you need to get everything in your new place set up before we deliver your items. 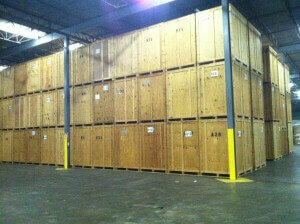 Additionally, using our storage units gives you the chance to take your time during the packing and unpacking process. We’ll provide you with a storage unit, allow you the time you need to pack, and when we deliver your storage container for unpacking, you can take the time you need. No rush and no hassle! Let our storage services team show you how our storage options can make your next relocation experience easier than ever. Contact All Around Moving & Storage at 734-941-2280 to speak with a moving storage services professional.